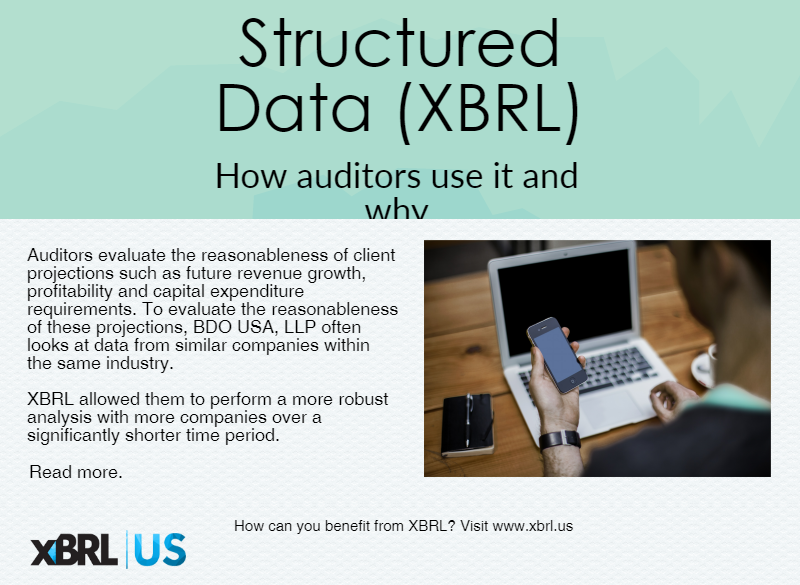 Inline XBRL was approved by the SEC for operating companies and fund companies. 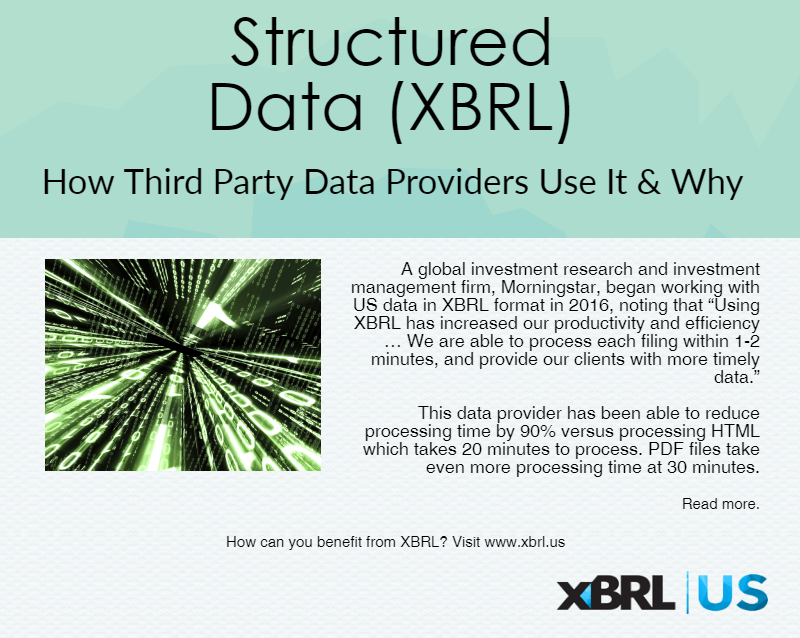 Find out how Inline XBRL works. The clock is ticking toward modernization as sureties embrace the Work in Process Taxonomy to save thousands of hours of data entry, while improving their own analysis and giving contractors faster access to credit. 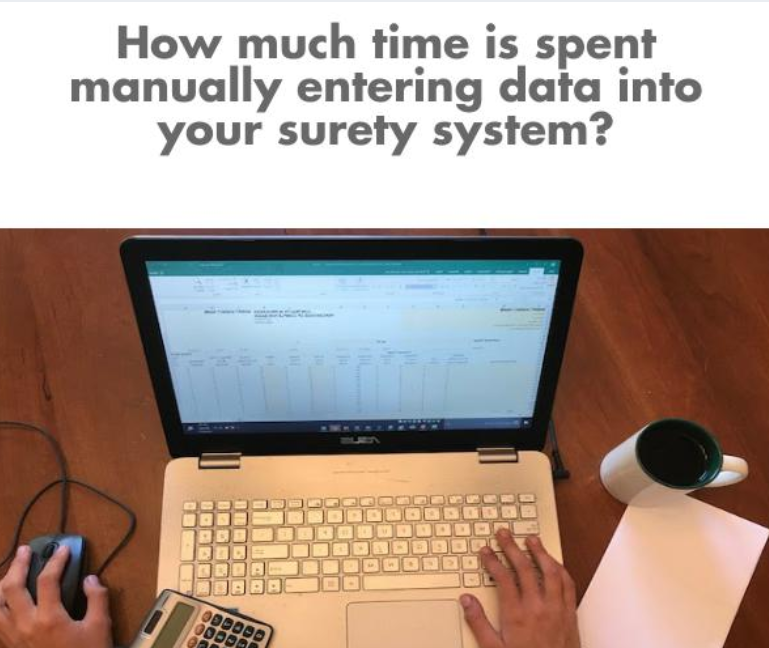 How much time is spent manually entering data into your surety system? What if that same data could be automatically extracted and analyzed within seconds of receiving it? There is a better way!. 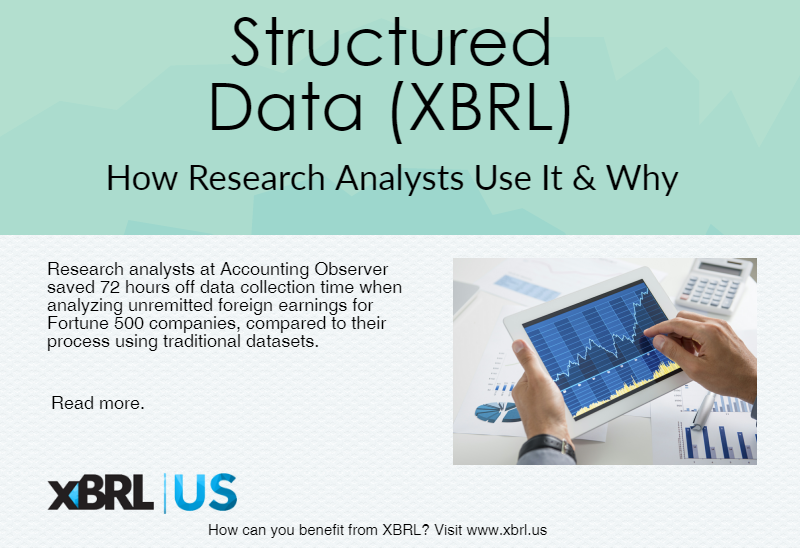 Research analysts at Accounting Observer saved 72 hours off data collection time when analyzing unremitted foreign earnings for Fortune 500 companies, compared to their process using traditional datasets. Global investment research and investment management firm Morningstar has been able to reduce processing time by 90% versus processing HTML and PDF processing, which can take 20 – 30 minutes per filing. 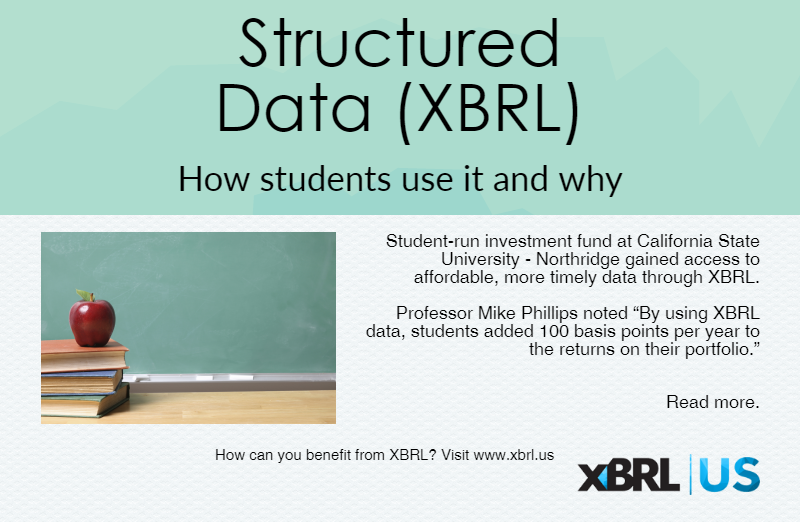 Who’s Using Structured Data and Why? 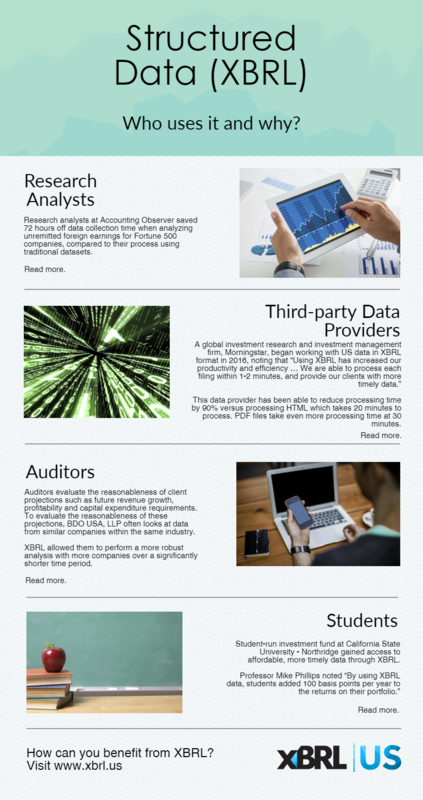 Research Analysts || Third-party Data Providers || Auditors || Students to name a few … it’s probably time you got involved, too.